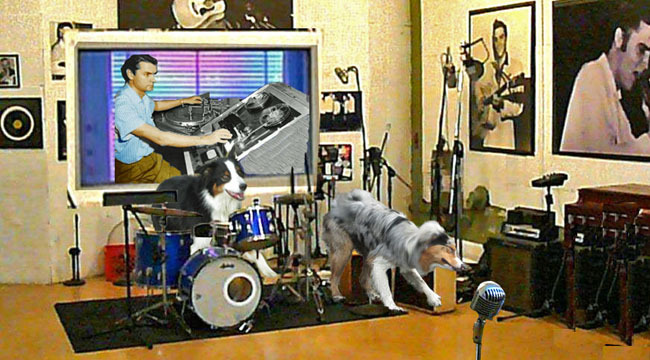 Sam Phillips on Crosscurrents, 1/5 – Doggedly Yours… Howling, Humor, and History. The careers of many rhythm, blues, and boogie musicians were launched via the unique recording studio Sun Records – founded by Sam Phillips who was born on this date in 1923. Gavin and Wyatt lay down a track in session with a young Sam Phillips at the control board. You can join John who will be in the KRNN studio celebrating the music of Sam Phillips by tuning in Crosscurrents, 1/5 at 8 a.m.